PANDORA Heart Key Locket Necklace. 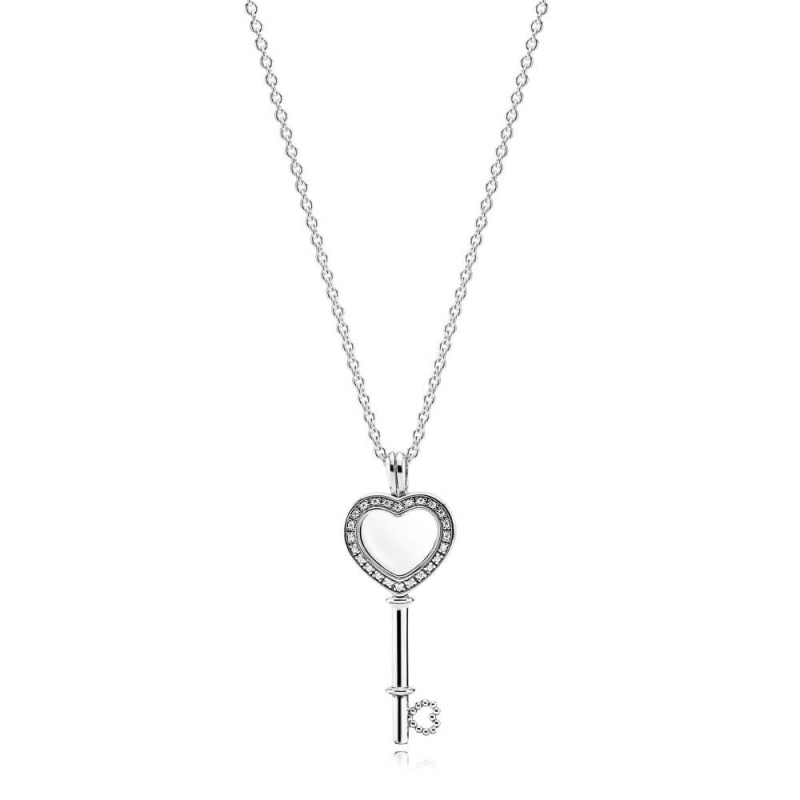 Sterling silver locket necklace with sapphire crystal glass - designed to display up to 2 petite locket charms it's the ideal way to showcase your affection with our love themed petite locket charms. Necklace length: 80cm with sliding clasp.